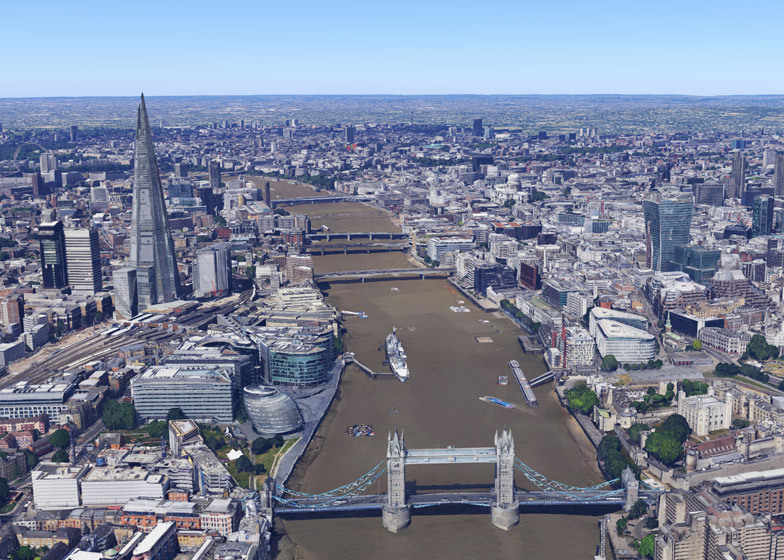 Google Maps has now added London to an impressive roster of 3D-mapped cities that also includes Paris, Rome, New York and Los Angeles (+ slideshow). By piecing together 45-degree aerial imagery, the Google mapping team has been able to recreate entire cities, allowing computer users to explore streets and landmarks without leaving their homes. Users load the 3D views by selecting the "tilt" option in the right-hand corner of the Google Maps interface. They are then able to pan, zoom and rotate to view their chosen destination from any angle. 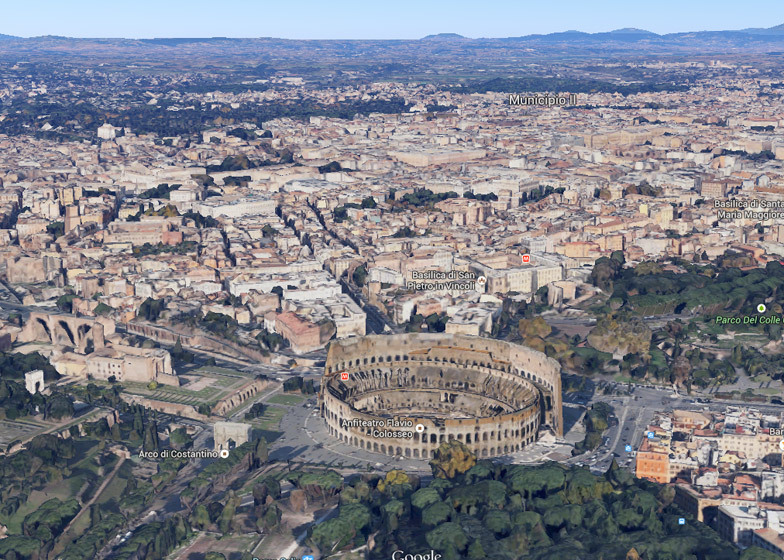 "Using 45-degree aerial imagery, we're able to recreate entire metropolitan areas in 3D," said Google Maps. "This means every building, not just the famous landmarks, the terrain, and any surrounding landscape of trees are included to provide a much more accurate and realistic experience of the city." 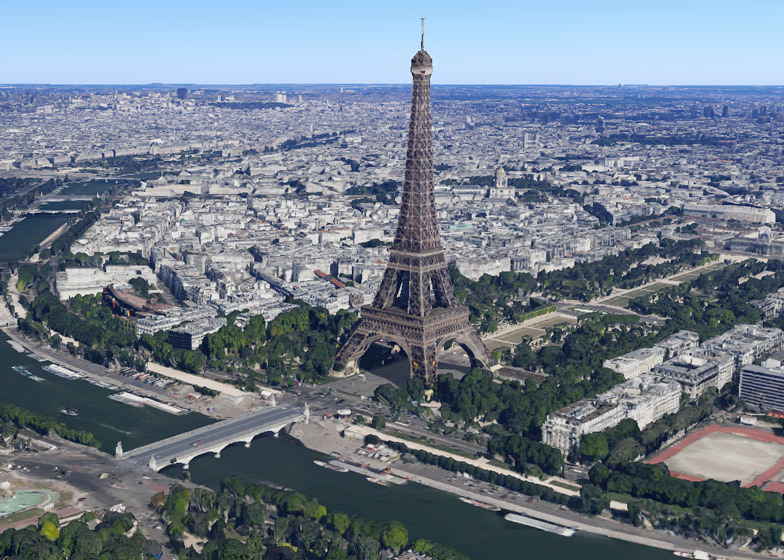 The internet giant first started adding three-dimensional building blocks onto its Google Earth software in 2006, shortly after its acquisition of three-modelling software company SketchUp. 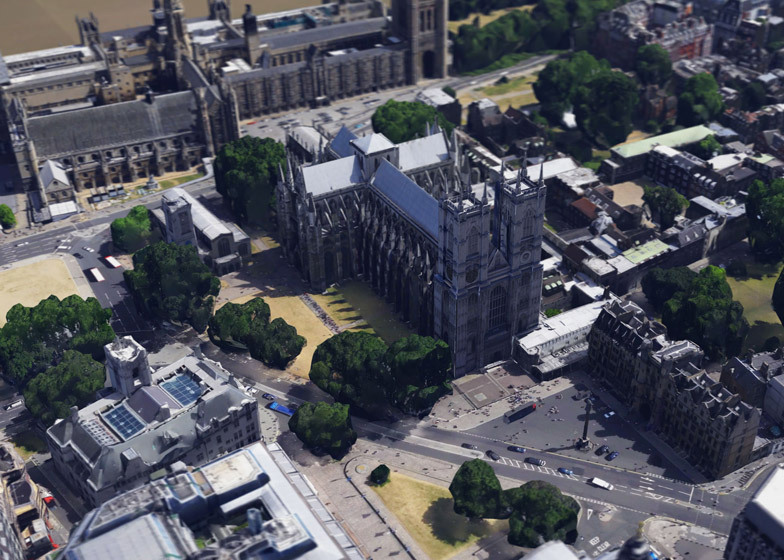 But it only started adding 3D models to its online mapping service two years ago. The Google Maps team begin by using topographical surveys to build up grey block forms. They then replace these with 3D models of the buildings, and accompany them with trees and shrubbery, based on the size and shape of what could be seen in photos. 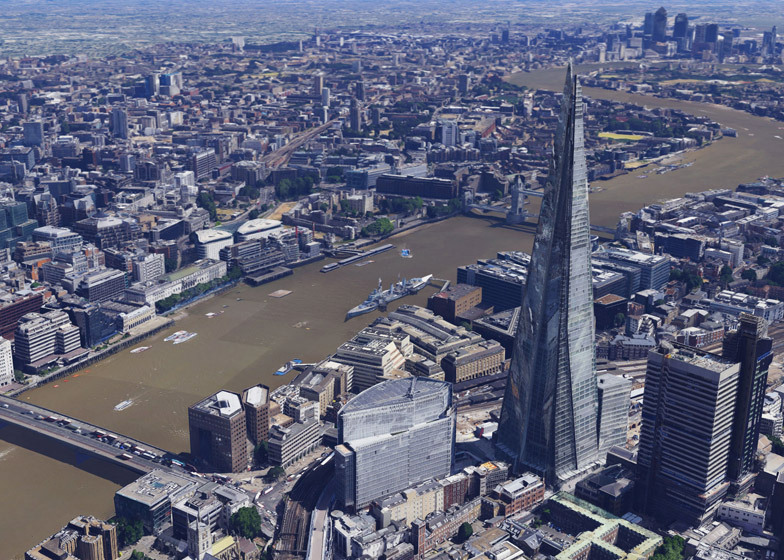 "As you zoom into London on Google Maps or Google Earth, buildings and terrain will start to appear in 3D," said the company. "Once you can see the buildings, pan, zoom, tilt and rotate to explore the 3D environment." 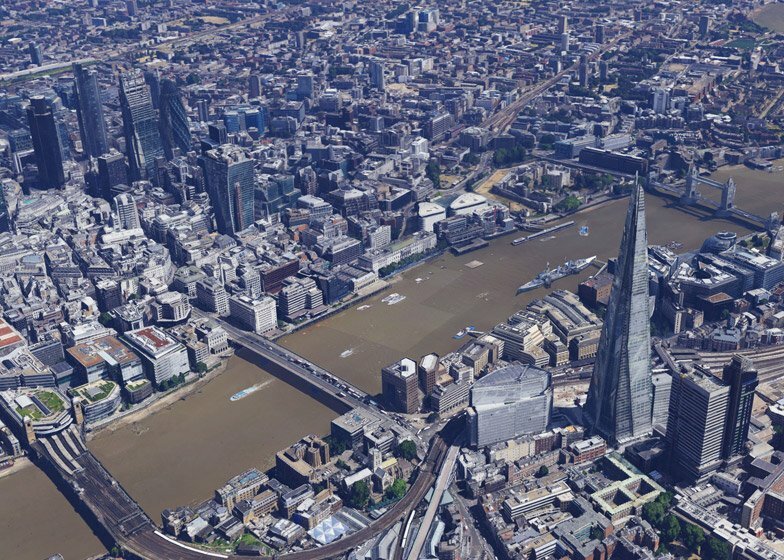 The London map launched at 7am today, with famous buildings like The Shard, the London Eye and the Tate Modern gallery recreated in 3D. 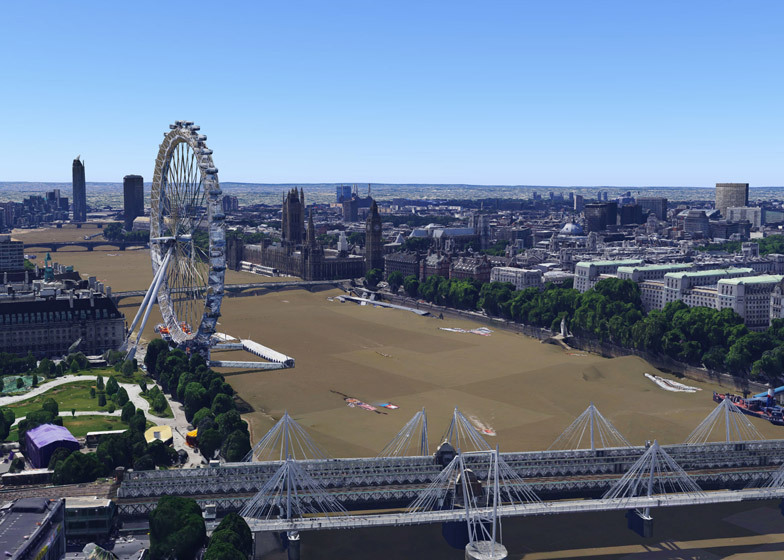 London is the the fifth city in the UK to be recreated in 3D on Google Maps, following Birmingham, Leeds, Reading and Stoke-on-Trent. 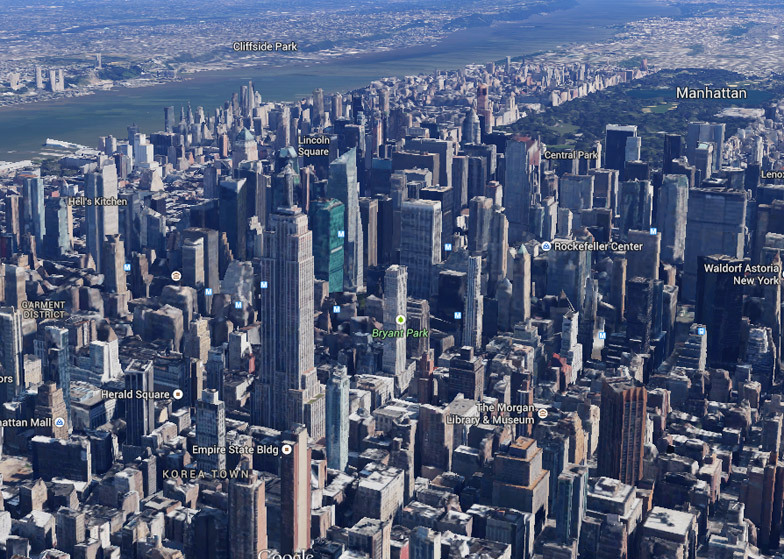 Other cities around the world that have been 3D mapped include San Francisco, Boston, Chicago, Munich and Luxembourg.